If all goes well, iPhone 7 and iPhone 7 Plus will be here in three months’ time. With this in mind, iPhone case makers have begun showcasing what they are good at with respect to these two smartphones. Apparently, there are some leaks of a case that show off some of the rumored features that are expected to be included on the iPhone 7 and 7 Plus when the two are unveiled in September this year. As it seems, the leaked images of the cases show very close resemblance with what we already have in the market – iPhone 6S. It is hard to believe such leaks since early iPhone cases are usually built based on rumors, third party sources as well as supply chain information. Surprisingly, most of the previously leaked cases have turned out to be accurate representations of the phones in the making. If anything, the latest leaks are only but a prototype of what the upcoming iPhone 7 is expected to look like, but it is nowhere near the end product – or maybe it is the end product? As usual with cases, you won’t be getting a flurry of details regarding the phone, instead, the accessory only highlights some design aspects of the phone, including the possible measurements of the phone and positioning of the rear camera as well as connectors and buttons, among other design features. If the leaked images are to be believed, then it is true that the next iPhone will be very similar in design as its predecessor. This is true because the new iPhone 7 case can easily accommodate the iPhone 6S, but there will be some slight changes with the antenna band. While the volume and power buttons, as well as the mute switch, are basically in the same position as the 6S, the camera doesn’t fit as the case has a lower, wider and tapered hole left out. This goes in line with recent rumors that have been pointing towards a slightly larger camera on the iPhone 7 and a dual-lens camera on the iPhone 7 Plus. In short, it is possible we may finally see an enhanced camera setup on the upcoming set of iPhones. 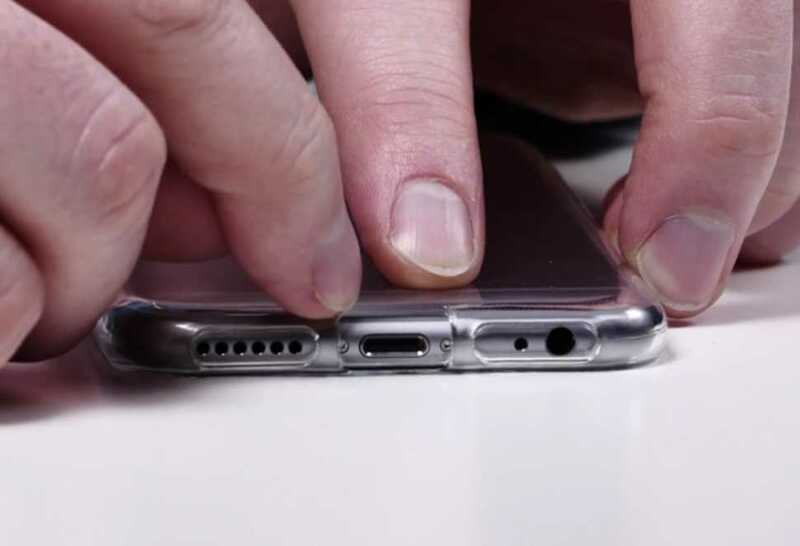 On the lower end of the case, there is no cutout for the 3.5mm headphone jack, an indicator that the phone will drop this feature as early rumors have indicated. You will also notice that the leaked case has two speaker spaces cut out at the bottom, something that could be suggesting the iPhone 7 may come with a second speaker for enhanced stereo audio, contrary to the single speaker that has been featuring on previous models.